The Perodua Kelisa was a city car manufactured by Malaysian automaker Perodua from 2001 to 2007. 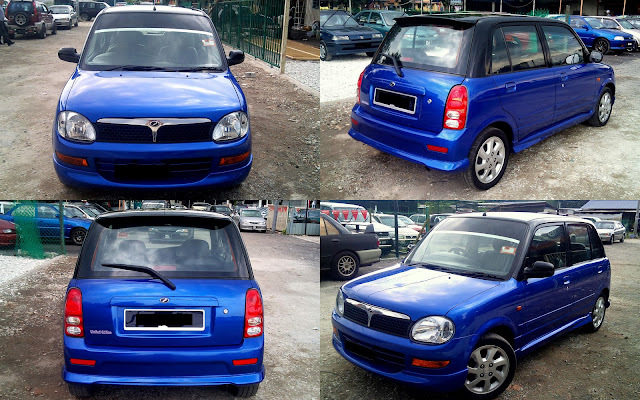 The car was an unofficial successor to the Perodua Kancil, but was offered by Perodua alongside the Kancil until both models were replaced by the Perodua Viva in 2007. The Kelisa was, in all its releases, based on a fifth generation Daihatsu Mira (L700), and is named after the Arowana fish native to Malaysia (ikan kelisa). The Kelisa was made available in two iterations: The first, which debuted in 2001, was intended to bear similarities to the 1999 Perodua Kancil at the front, including the headlights and grille; the second iteration, introduced in 2002, was given a minor facelift to feature modified and lower profile bumpers, and a grille that extended wider to reach the headlights. The second iteration would go on to replace the original Kelisa outright in the Perodua lineup. The Kelisa was popular amongst Malaysian drivers for its relatively good power-to-weight ratio, affordable price and low fuel consumption. It was also praised by many of the car owners for its quick acceleration, maneuverability around tight corners and good handling. The Kelisa was released in several "special" editions. A limited-edition Kelisa, based on the original variant, prominently sports two-toned colored paintwork and minor interior modifications. Later, the interior of the second Kelisa was given a few modifications and the exterior a modern Metallic Pearl Jade finish—a light double metallic colour—which Perodua marketed under the nameKelisa Imago. 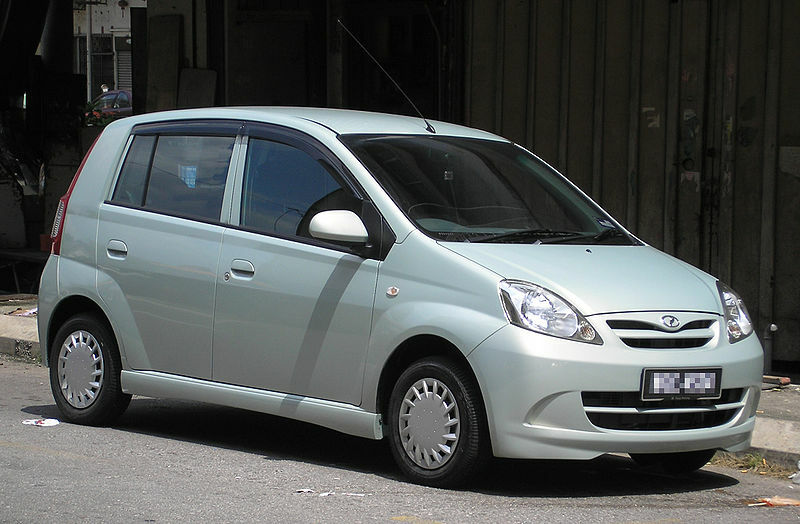 Perodua Viva (first generation) (front), Kuala Lumpur.jpg Production and marketing of the Kelisa, along with the Kancil, was officially halted following the release of the Perodua Viva in May 2007. Due to similarities in size and vehicle model they are derived from, the Viva is intended to succeed the Kelisa and the Kancil, both of which had been in production for 6 years and 13 years, respectively. As Perodua has sold its vehicles to the United Kingdom since 1997, the Kelisa was introduced into the country in January 2002 as a replacement to theNippa, a rebadged Kancil, and like its predecessor was the cheapest new car on sale in the United Kingdom, starting at just over £5,000. The Kelisa range includes three models: the entry level EX, the GXi and the automatic EZi. It has a maximum speed of 97 mph (156 km/h). The Kelisa has a three-cylinder 989 cc petrol DOHC 12-valve engine (EJ-DE engine) with electronic fuel injection system. A smaller three-cylinder 847 cc petrol engine is also available. Selected Kelisa models also came with built-in Bluetooth technology. A supermini may not necessarily boast great fuel consumption, but the Kelisa has a fuel consumption ranging anywhere from 13km/litre (31 mpg) to 17km/litre (40 mpg) for the automatic and 15km/litre (35 mpg) to 21km/litre (49 mpg) for the manual, as observed by most Kelisa owners. Even with heavy footed driving, the Kelisa delivers a fuel consumption close to a hybrid sedan. In the second series of Top Gear, James May drove the Kelisa and was generally impressed with the car, even likening it to the original Mini. 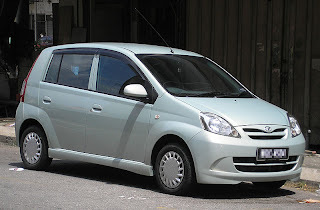 However, in Jeremy Clarkson's 2005 DVD "Heaven and Hell", he bought a brand new Perodua Kelisa EX and destroyed it by blowing it up in an effort to highlight aesthetic frustrations with the design. In 2007, Clarkson described it as the worst in the world, "its name was like a disease and suggested it was built in jungles by people who wear leaves for shoes". His comments drew criticism from the Malaysian government, a representative of which countered by stating that no complaints had been received from any UK customers. Last updated on 16 August 2013 at 18:56.